Beat the heat, and keep yourself light and fit at the same time, with these quick and healthy summer snacks. It’s finally Summer! YAY!! I don’t know about you, but with the hot weather kicking in, all I crave is refreshing, light snacks and meals. After all, the last thing you want to do is spend all your summertime in a hot kitchen. 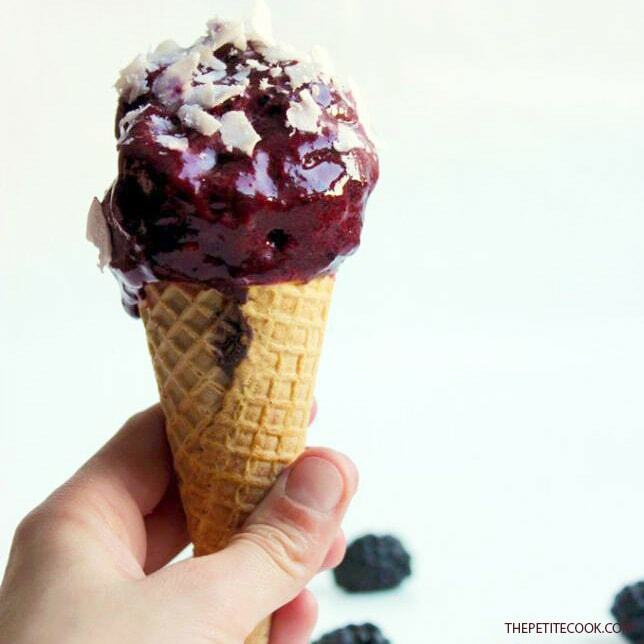 Snacking right is one of the hardest things to do in the summer (especially because you see ice cream everywhere), but don’t worry, I got you covered. 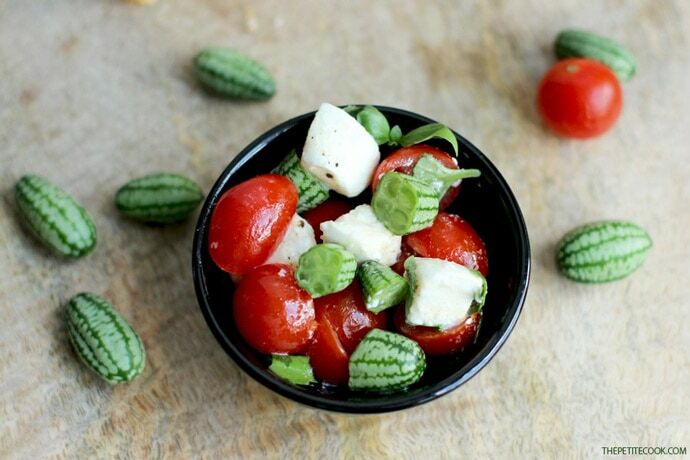 These 8 Quick and Healthy Summer Snacks are loaded with refreshing flavors and packed with nutrients – Perfect to enjoy all summer long! 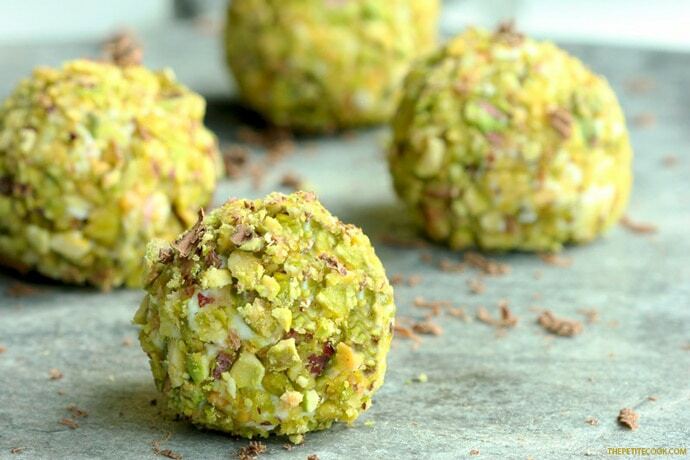 Fresh and super crunchy, packed with superfood veggies and quinoa. Plus they’re vegan, gluten-free and dairy-free! Nothing says summer like caprese salad. These Mini Caprese pots are made with the addition of super refreshing pepquino melons, a cute veggie similar to cucumber in taste. These Cannoli Truffles require zero cooking, are loaded with summer sicilian flavors and are super quick to make. 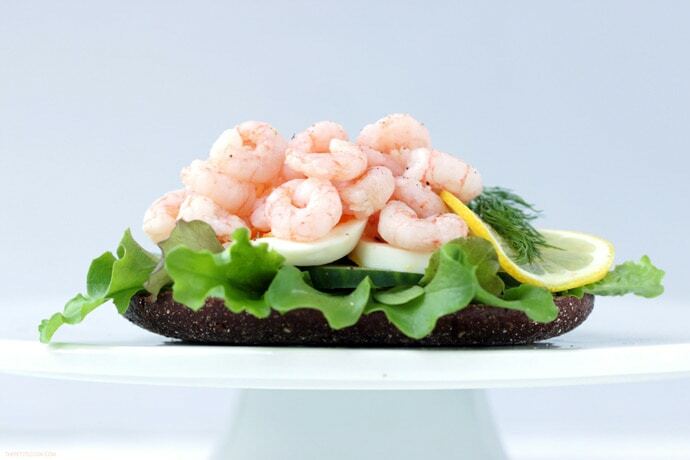 Healthy, packed with fresh flavors and super quick to make, this Swedish Prawn Sandwich is a total must-try for seafood lovers! 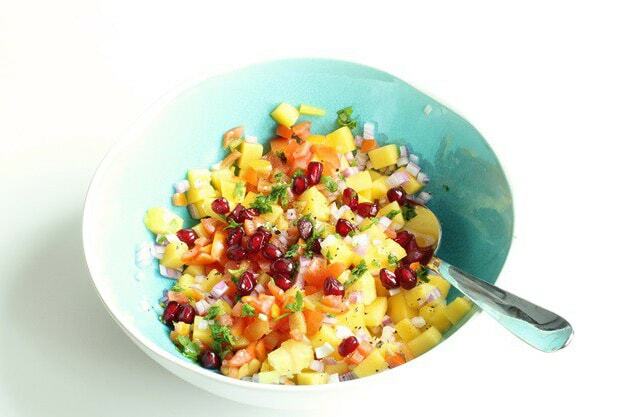 Colorful, crunchy and refreshing, this salsa combines sweet & savoury flavors in a delicate and harmonious way. It’s great on its own or stuffed in crunchy tacos or tortillas. Ice cream is a MUST on summertime! 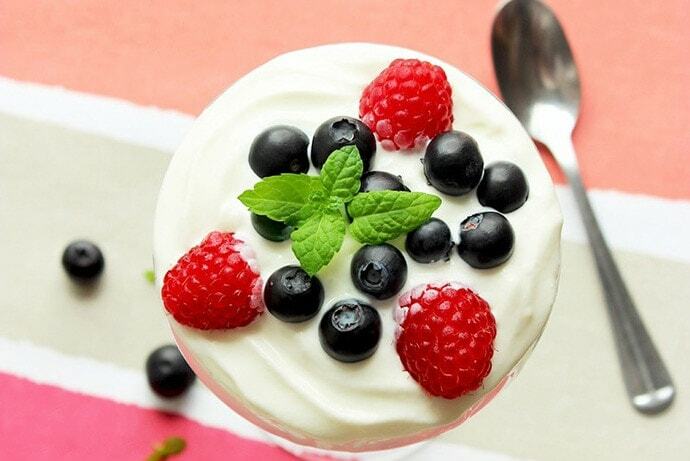 This “nice cream” requires only 2 ingredients and it’s sure to cool you up on a hot day. This Melon and Zucchini Carpaccio is a fantastic light starter, it takes no more than 10 minutes to make and gives a super tangy, fresh and juicy crunch in your mouth. 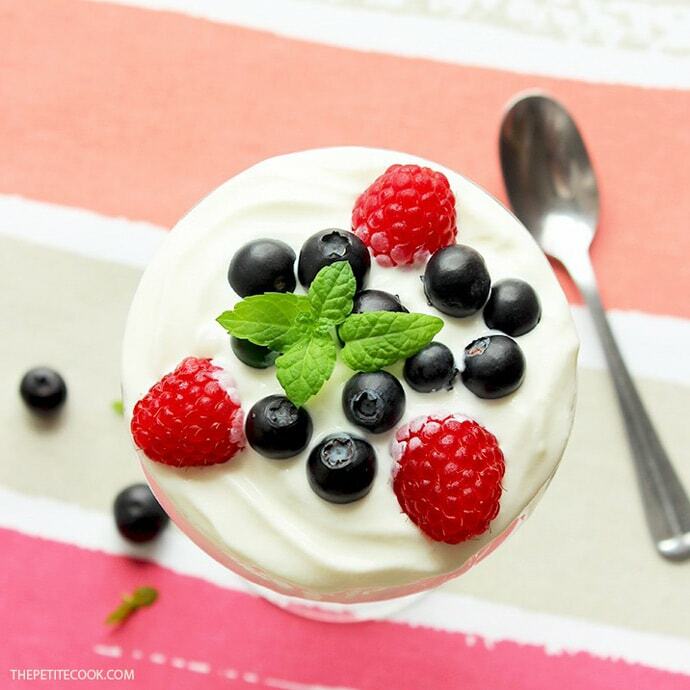 Fill a small jar with this refreshing Berry and Yogurt Parfait for a healthful breakfast on-the-go, or for a quick afternoon snack! Hope you guys give these refreshing summer recipes a try. If you do, make sure to comment here below and share with me your favorite summer snacks 🙂 . Don’t forget to snap a picture, tag it #thepetitecook and share it with me and all your friends on Instagram! Fabulous selection! 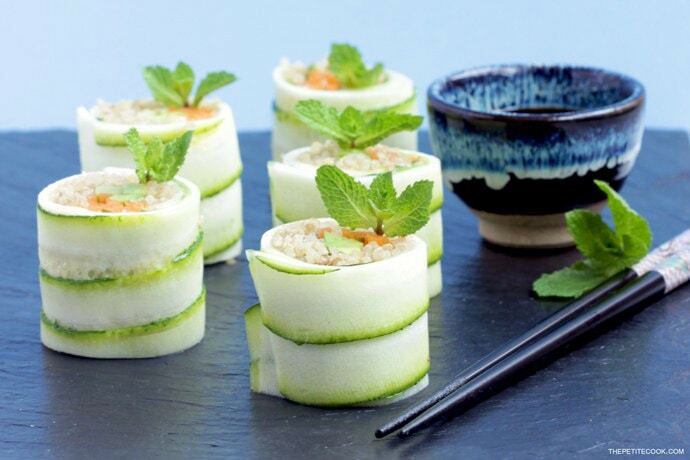 I’m loving the zucchini sushi rolls very much indeed! Gorgeous selection of healthy snacks! 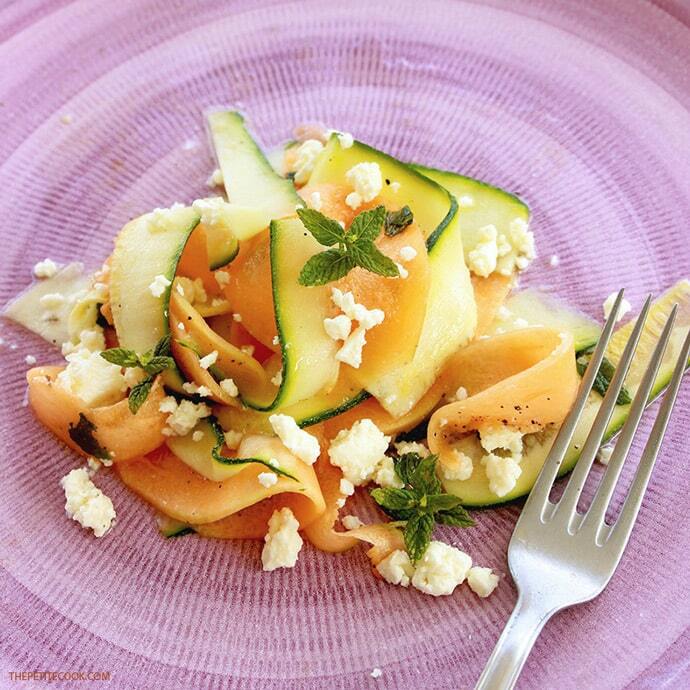 Totally love the idea of the Melon and Zucchini Carpaccio, so refreshing.